A Champion and Top Producer, Sparkle is now retired from her maternal duties and has been spayed. 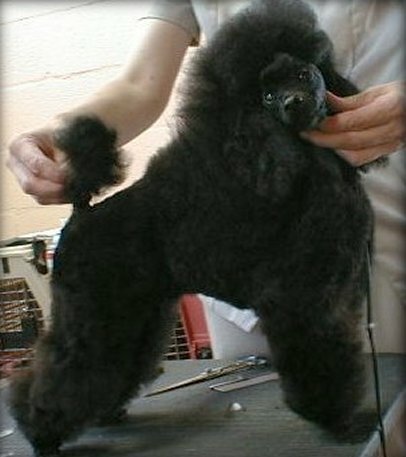 Sparkle showing off her new summer haircut! Sparkle, named after the fine French Champagne, Tsarine. "Tsarine is a feminine symbol of particular refinement, of a distinct notion of excellence.."
Sparkle most definitely lives up to her namesake! Fizzi's first Champion, Sparkle finished from the 9-12 puppy class with a group placement along the way. 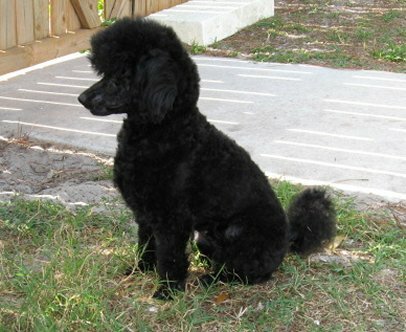 Sparkle is everything one could ask for in a Toy Poodle and then some! She is inky black with a great coat and a super poodley attitude and personality plus, not to mention her awesome head! Sparkle getting ready for the ring! 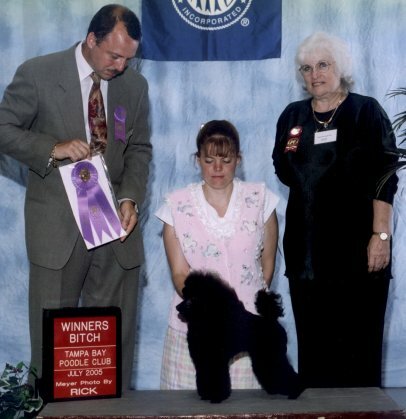 Sparkle above going WB at the Tampa Bay Poodle Club show.